Thanks Ramon for letting me know about this crypto airdrop and free tokens! Bancryp will be the first Brazilian company totally focused on revolutionizing the system through the blockchain technology. And they plan to offer a solution for people to use cryptocurrencies every day, just like they use traditional fiat currencies. Their mission will be to build a decentralized, economic and secure environment to break the international borders and unnecessary bureaucracies for crypto-activities and businesses. Through mobile and web applications, they’ll offer various services that are necessary to meet the current demand. In addition, Bancryp will innovate this ecosystem and boost the crypto-economy with services that are of extreme necessity for coin holders. And they will also provide the first POS terminal for businesses to accept cryptocurrency as a payment and receive fiat money in real time. Their platform is using their own token, the Bancryp token, ticker XBANC, on the ethereum blockchain. And the maximum total supply is 300,000,000 XBANC tokens. But the tokens remaining at the end of the ICO will be destroyed. I guess that users need to hold and spend these tokens to use their services. But I couldn’t find their white paper. So I don’t have much more details for now. How to get the free XBANC tokens? First of all, you need to sign up to their platform, here. And you’ll get your first 20 free XBANC tokens as a reward. Please note that you need to request an invite to create an account. And it can take a few days before you receive the invitation. It took 2 days for me, then I signed up and had to confirm my email address. And you can start earning more XBANC by inviting people to join, with the link from your Dashboard. Share this link and, whenever someone you invited registers, you earn 10 XBANC. Finally, if you’re a vlogger or feel like making a video and posting it online, you can get 60 XBANC per video. And an additional 5 XBANC per 1.000 views. Your video has to talk about the potential of the first Brazilian cryptobank and their solutions. Also, you should invite people to create a Bancryp account through your invitation link. As long as you give a positive perspective, you can make videos with any content related to their solutions. But you can’t use the official Bancryp videos in your own video, it has to be authentic. Finally, you can post your videos almost anywhere: YouTube, Vimeo, websites, blogs, etc. When you’ve completed all the actions, you must request your tokens. And this is mandatory, or you won’t receive any XBANC… So head to this page and fill the form. And their team will assess your submission. You should receive an e-mail response within 5 working days. And after approval, you’ll receive your XBANC tokens on your Bancryp account within 3 working days. Lastly, you’ll be able to send your tokens to an ethereum wallet that supports ERC20 tokens when the withdrawal function is available in your account. And here’s to another round of free XBANC tokens! This time, there are 1,000,000 XBANC tokens available for this airdrop. And you can easily get 20 free XBANC: All you have to do is to register here. You’ll need to fill in your email address, a username, a password and your language. Then solve the reCAPTCHA and click on register. That’s it. If you want more XBANC, then you need to copy your referral link from your dashboard. And share it with your friends. With each new Bancryp signup through your link, you’ll get 10 free XBANC tokens. Obviously, the more you share it, the bigger the chance to get your tokens… So get going now! 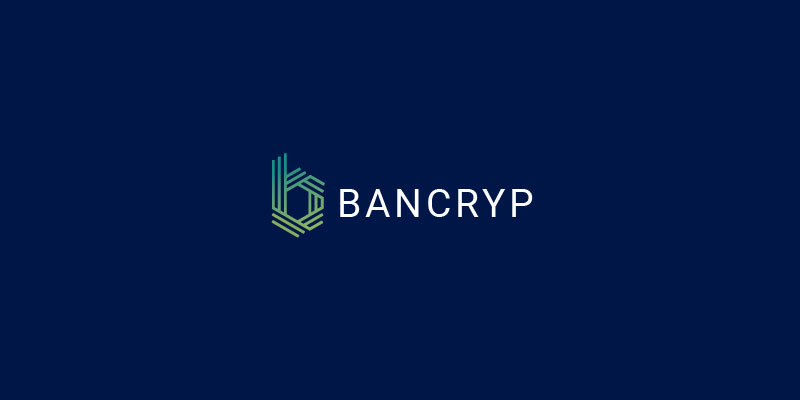 Bancryp is a Brazilian crypto-bank which provides solutions for everyone to easily use cryptos on a daily basis. Sign up today and earn free XBANC tokens!